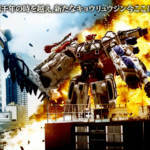 Tokunation › Super Sentai › P-Bandai Teases DX Kyoryujin Brave Release! P-Bandai Teases DX Kyoryujin Brave Release! If you’ve been keeping up with our Power Rangers Dino Force Brave coverage, and have been clamouring for some of the toys that have been announced then we got good news for you. It looks like P-Bandai will be picking up a few of these toys for the Japanese market with a teaser picture of that new sweet Kyoryujin whom we now know is called Kyoryujin Brave, and the DX toy of this mecha appears to be the first to be imported over for this new toy line. At the moment, we don’t have a whole lot of information to go on P-Bandai has yet to announce a price, release date, or if Kyoryujin Brave is the only toy that they’ll be bringing over. Though it seems that we’ll be getting more info on this release March 22nd 2017, so stay tuned and we’ll bring more info as it becomes avalaible. 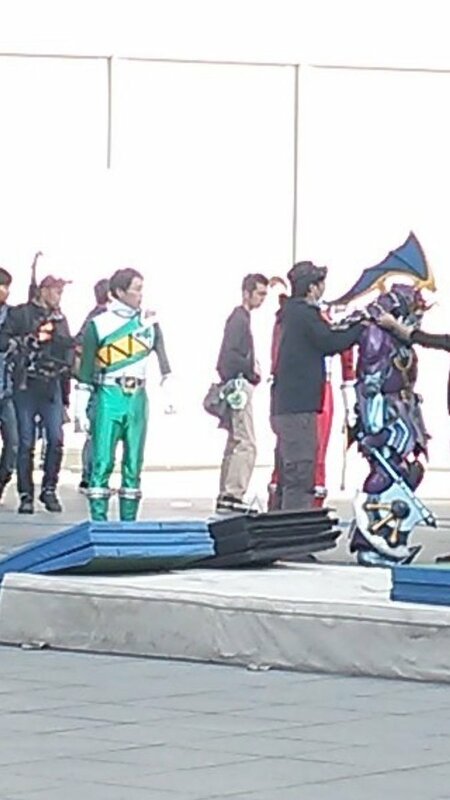 So seems like Korea will be producing an original Stage shows for Kyoryuger with original suits and everything. In Korea, they air Sentai dubbed under Power Rangers, so just in case anyone's confused by the Power Rangers Dino Force name used in the banner. New Gabutyra suit recolor that looks like a Carnotaurus. WAIT!!!! Those are the suits that we saw a little while back!! OMG!! 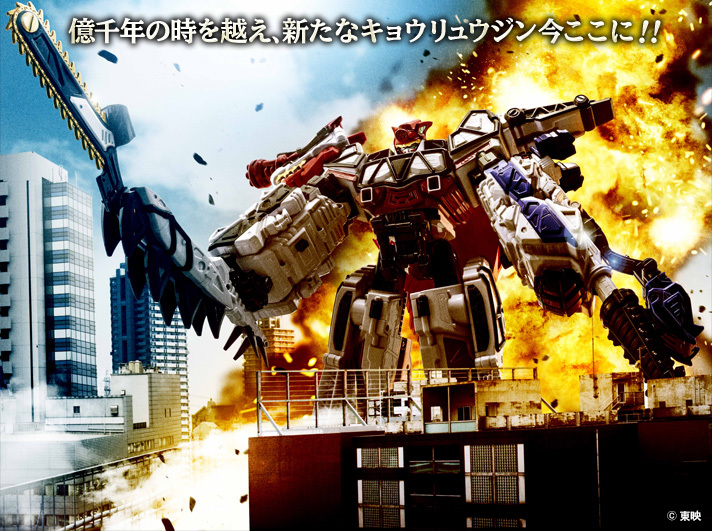 Huh, so this is basically Kyoryu2? I didn't expect that! This appears to be an actual second SEASON of Dyno Force- due to the incredible sales potential. Is this really happening??? One of my favorite Sentai is getting a second season yes. When does it start and where to find subs? 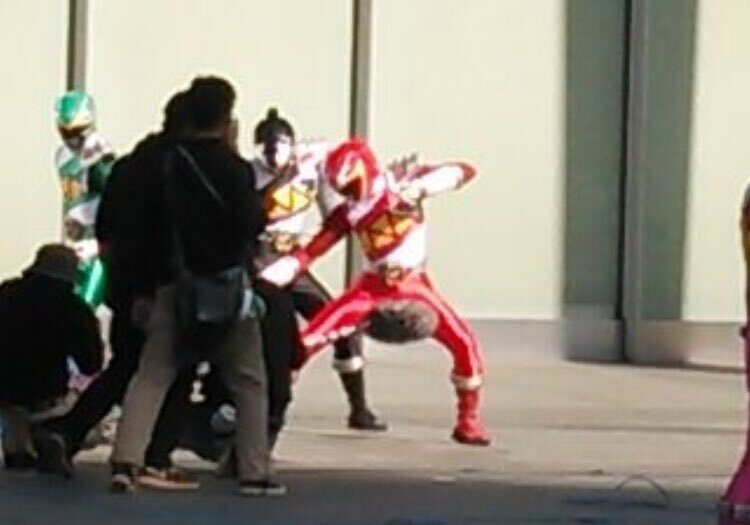 Also this clears up what that Kyoryuger pic of the other members with different dinos on their suit was from back in Dec. I was really hoping this would be for something relate to Akibaranger season 3 for more Sentai Figuarts of course. However this is fine as well. Looking forward to seeing how good season 2 of Kyoryuger will be. Just heard about this. Quite interesting. I hope there is a toy release. How successful was Kyoryuger in Korea? As I said in another thread, Kamen Rider Blade was apparently such a success in Thailand, that they decided to make their own continuation of it. I wonder how this second season will work. Will the original actors reprise their roles, or will the story be about different rangers entirely? Gekiranger (dubbed �Power Rangers Wild Spirit�) was also a success in Korea.